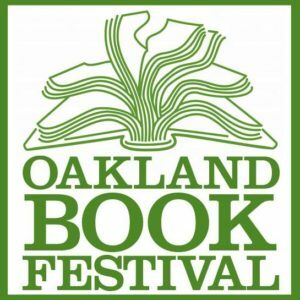 The Oakland Book Festival takes place at Oakland City Hall, Sunday, May 21st, 2017. It is free and open to the public. Throughout much of our nation’s early history, literacy among the non-white population was crime punishable by death. The struggle towards education and self-determination for Americans of color remains fraught with adversity. At the center of these enveloping controversies and culture wars remains the question of just what is American literature. The resurrection of James Baldwin in recent years has returned his writings to the center of American discussions on race and inequality. That said, Baldwin’s prescience remains firmly rooted in the traditions of protest and spirituality woven in Afro-American music. Celebrated playwright, poet and novelist Ishmael Reed stars in this workshop staging of his newest play, a satire that chronicles the misadventures of two hapless revolutionaries. Reed is the recipient of a MacArthur “Genius” Fellowship and the Langston Hughes Medal; he has been nominated for the National Book Award and the Pulitzer Prize. Many of Reed’s previous theatrical works have premiered at the Nuyorican Poets Cafe (including, most recently, “The Final Version”, in 2013). This staged reading of Reed’s newest play is directed by Rome Neal.